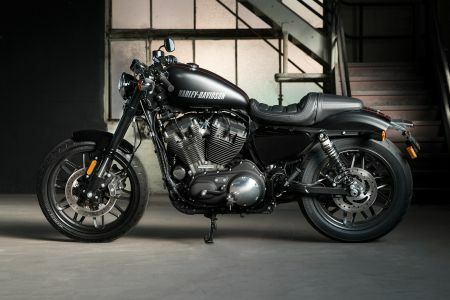 The newest Sportster® has arrived in dealership and test ride bookings are open to our most important critics – our customers. The Roadster looks like it means business with slammed bars, chopped rear fender, race-inspired graphics, a finned timer cover, slotted black exhaust shields and the growl of a 1200cc Air-Cooled Evolution® V-Twin. What we want to know is whether you agree. Will our newest custom tempt you away from your current machine or encourage you to add another V-Twin to your garage? Why not book a test ride and let us know what you think? Our friendly team is on hand, as always, to answer any questions and talk to you about finance options if you decide this is the new bike for you.